DON'T MISS THIS AWESOME AUTUMN PROMOTION! 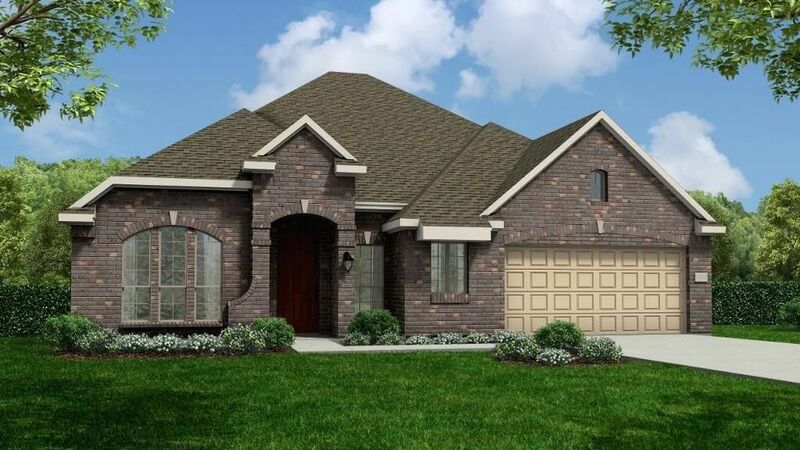 1 Story, 4 Bedroom, 3 Bath, Cul de Sac Home Site in the Trails of Katy Community. Featuring 8' Interior Doors, Fireplace, Separate Garden Tub and Shower in Master, Wood Style Tile Flooring Throughout, Carpet in Bedrooms, Study with French Doors, Granite Countertops in Kitchen and Baths, Large Kitchen Island, Open Concept Living/Dining Area, Upgraded Stainless Steel Appliances, Upgraded Lighting Package, Large Covered Patio, Full Gutters, Fully Sodded Front and Back Yard with Irrigation System, No Back Neighbors, Garage Door Opener, Environments for Living Home, plus more...AVAILABLE FEBRUARY.